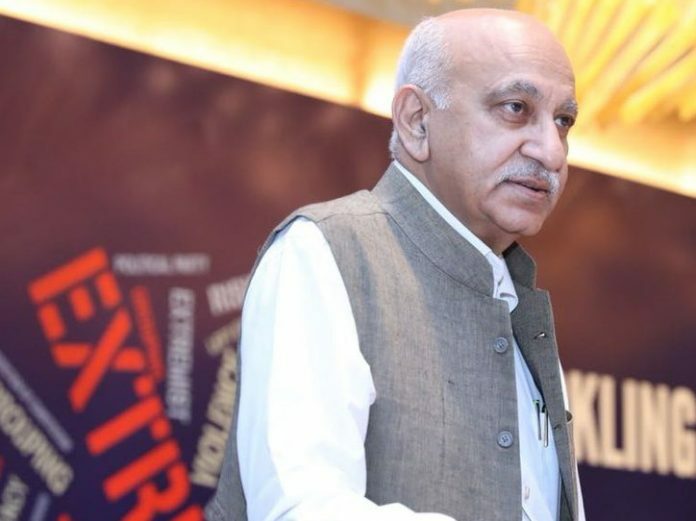 New Delhi: Once a Congress loyalist, union minister M.J. Akbar is the latest among BJP leaders to join the chorus against the Emergency, which he has called “free India’s Jalianwalabagh”. Akbar, who was actively associated with the Congress party from 1989 to 1992, also served as the official spokesperson of former Prime Minister Rajiv Gandhi. He is the current minister of state for external affairs. Terming former Prime Minister Indira Gandhi as an “imperial queen”, Akbar — a former editor — said she was responsible for one of the country’s darkest moments during the Emergency, which he alleged, was done to keep her in power. Akbar had also criticised the Emergency in the now-defunct Sunday magazine, which he edited between late 1970s and early ’80s. Known for changing his stance, Akbar was extremely critical of Narendra Modi and the RSS, the BJP’s ideological parent, prior to joining the party in 2014. “In Hitler’s case, the enemy was the Jew; in Modi’s case the enemy is the Muslim,” wrote Akbar. Given this background, his entry into BJP was marred by controversy, and he had to apologise for his comments before being allowed to join the party. “This whole hullaballoo is over the article that I wrote in 2002 during the riots. Please try to understand that I was angry at that time. I was acerbic over the riots, everyone was,” he reportedly told the press. “The parallel with the Germany of the 1920s and 1930s is simply too obvious. At the root is poverty and underdevelopment…Hitler had the Jews. Advani has the Muslims,” he goes on to say. He is now criticising the Congress for comparing Modi to Aurangzeb, saying that the party leaders need history lessons. “There is a serious history deficiency in the IQ of Congress leaders. Why don’t we collect funds and send them some good books,” he said at a press conference Tuesday. An eminent editor and author of several books, including a biography of Jawaharlal Nehru, Akbar debuted in politics in the 1980s. He came close to Rajiv Gandhi and wielded considerable influence. He contested Lok Sabha election in 1989 from Kishanganj in Bihar and won but Congress lost badly. He drifted apart from the party after Gandhi’s death in 1991 and he soon returned to full-time journalism. Though he was critical of Modi, the then CM of Gujarat, he gradually came closer to the BJP as he accused the Gandhi family of indulging in dynasty politics. I am really amazed how such an imbecile can live as a human being . If at all he is a sub human being. Ironically, no one in NaMo led Union Ministry is taking his her responsibility sincerely and seriously ! The Ministers are not discharging their duties in light of the oath taken in the name of constitution ! are treating India so far as International relations are concerned ? free hand to function independently ? forty winks in the bargain !